The environment isn’t just an issue adults care about. Today’s youth are the next generation that is going to inherit the mess previous generations created. We are clearly stakeholders. 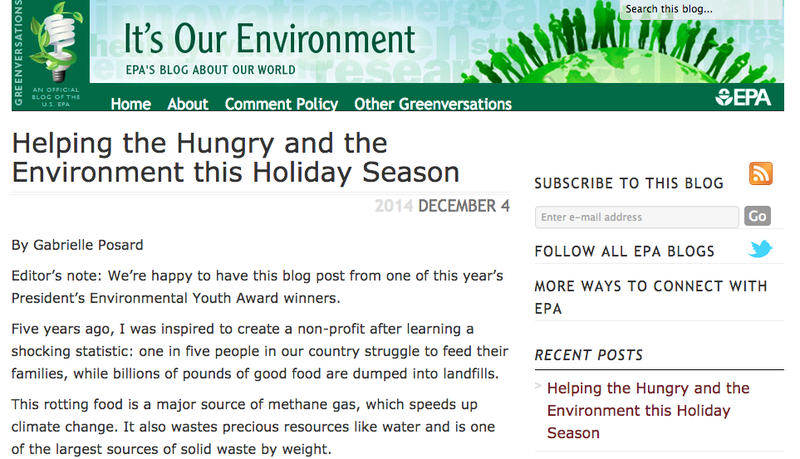 So we were thrilled when the Environmental Protection Agency (EPA) asked the Founder of Donate Don’t Dump (age 17) to contribute as a writer to the Government’s EPA Blog. We think the youth perspective is important to raise peer-to-peer awareness and encourage more teens to get involved. Please check out the blog post here and let us know your thoughts.